Dogs don’t care what you look like. They don’t care if you wake up with awful morning breath and a bad case of bedhead. They don’t care if you mismatch your socks or wear your ratty old sweats. They see inside – and they see the best in you. It’s no wonder that dog is “man’s best friend,” or that between 27 and 37 percent of American households include at least one pooch. Are you going to join the “club” as a first-time dog owner? Here are some tips you’ll find useful. Owning a dog is a big commitment; you are opening your home – and your wallet and your free time – to a pet that depends on you for food, shelter, safety, companionship, and love. Make sure that you are willing and able to meet those needs. If you’re ready, willing, and able, get started! How much time you can spend exercising your dog. How much grooming you can handle (i.e. every day, once a week, etc.). How much shedding you can tolerate. What size dog you would like. What kind of energy level you’re looking for (high, medium, low). Your home/yard situation (e.g. do you have a fenced-in area, small apartment, etc.). Make sure your home can accommodate your dog. He won’t be happy living in conditions that do not meet his needs, nor will you. Do some research into breeds to find a good match. For instance, if you live in an apartment, work all day, and don’t like daily grooming, a (very big, very hairy) malamute may not be a great fit! A smaller terrier variety could be a much better (and smaller) choice. Likewise, if you have a big yard and time to play actively with your dog, a high-energy breed can keep you on your toes! Be realistic about your expectations. Find a good vet. The best place to start is good, old-fashioned word-of-mouth. Ask your pet-owning friends, family members, neighbors, and coworkers for their recommendations. Get a list of a few you want to check out and schedule an appointment. No, they will not think you’re weird for scheduling an appointment before you get a dog! This is a great opportunity to meet the vet, staff, and to get suggestions on breeds, nutrition and exercise requirements for breeds in which you’re interested, and tips regular care. Ask about the vet’s services, hours, and procedure for emergencies; take a look at the facilities (are they clean, well-organized, calm? ), talk to the staff (are they knowledgeable, friendly, good with pets? ), and inquire how fees and payments work. Create a training plan. Find a good obedience class in your area. Depending on your new dog’s age, he may not be quite ready, but it’s a great idea to have a plan in place. Do some research into training techniques (e.g. following basic commands, housetraining, etc. ), and stock up on treats to help your dog learn. Training does more than teach your new dog (or old new dog) tricks; it is important bonding time. You can build trust with your pet, which helps him learn more and behave at his best. 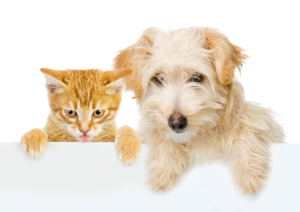 Bringing a new pet into your home is a big responsibility; make sure you’re ready! Do some homework before selecting your dog, and you’ll be well on your way to a happy, healthy friendship.